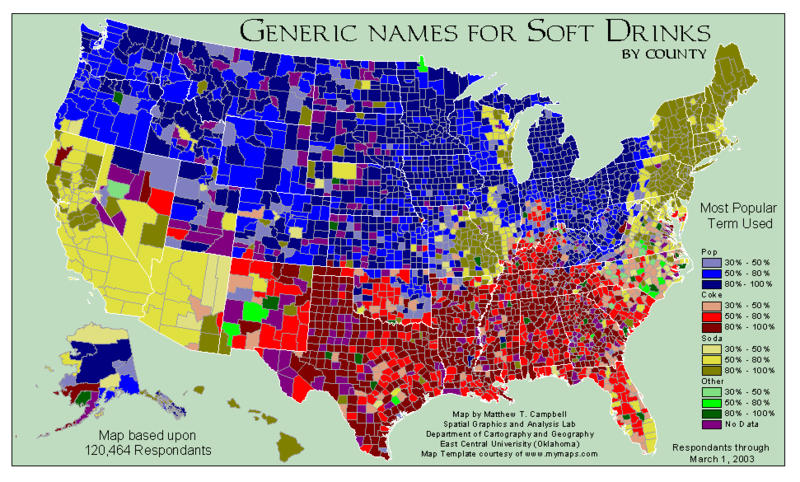 Pals know that I can’t stand the word “pop” as a generic term for soda (where I live know) or coke (where I grew up), though otherwise I love you guys in the Washington/Oregon area, where in my experience it is at its worst. This map shows where the problem is at its worst. Though I am dying to know what the “other” terms are. “Cola,” I’m sure… but what else?